“The 6.5 Creedmoor cartridge roared on the scene as a long-range shooter’s dream. Target shooters raved about its ability to bust a bullseye at 1,000 yards, without the punishment normally associated with long range cartridges. So, it was of little surprise with plinkers and hunters pleaded with manufacturers that they too wanted accuracy without punishment. If this sounds like you, here are our Top 10 6.5 Creedmoor rifles. 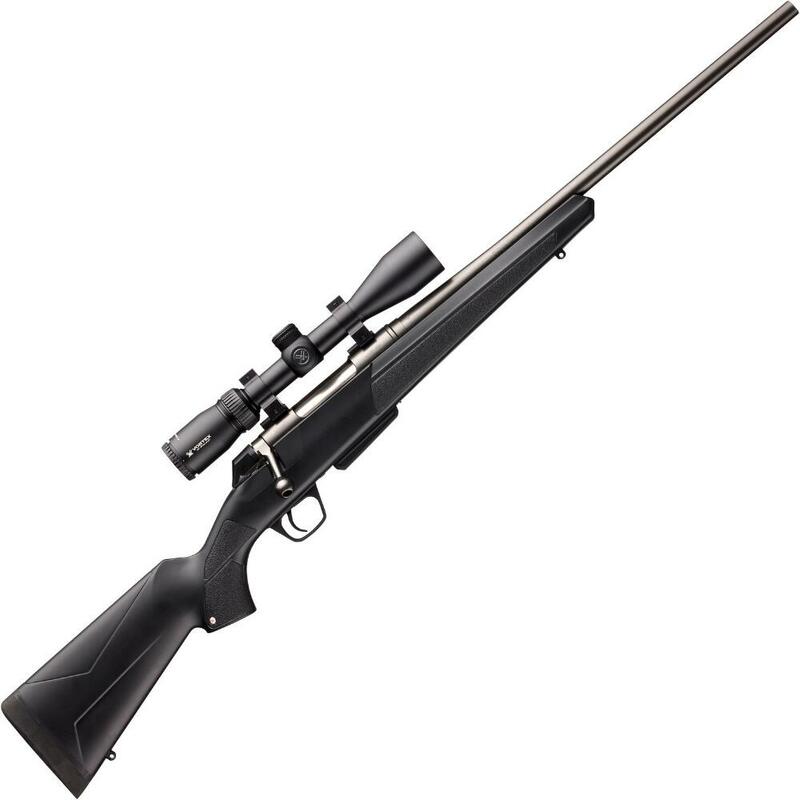 The Savage Arms Axis II XP bolt action rifle provides you with a single solution rifle and scope combo in one convenient package. The Axis II XP is built using a carbon steel barrel with precision button-rifling for incredible accuracy. Additionally, the rifle comes with the adjustable AccuTrigger which provides you with the flexibility to set the trigger pull to your specific individual preference. A detachable box magazine and 3-9×40 scope are included. Quite simply put, the Axis II XP will exceed your expectations on all levels. Click the image to check stock and find Cheaper Than Dirt!’s price. The Winchester XPR Compact rifle is the perfect modern bolt action for young and smaller framed shooters or anyone else that is looking for performance and accuracy all-in-one. The solid steel receiver is machined from bar stock which is drilled and tapped for your choice of scope mounts. It features a compact free float, button rifled, target crown barrel that is sure to get your rounds accurately on target. Winchesters MOA trigger system with two position thumb safety breaks crisp and clean. A detachable box magazine provides ease and convenience while the Perma-Cote finish protects your investment. The Advanced polymer stock sports a shorter length of pull giving you a well balanced rifle that is easy to carry and quick to shoulder with a fast swing. It’s the ideal rifle for the hunter and outdoorsman who spends more time in the field than in the house. Vortex Crossfire II 3-9×40 Scope with BDC reticle, mounted and boresighted.